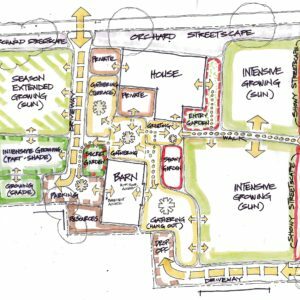 An abandoned lot is transformed into an ecologically resilient, historically sensitive, accessible, and agriculturally productive landscape. 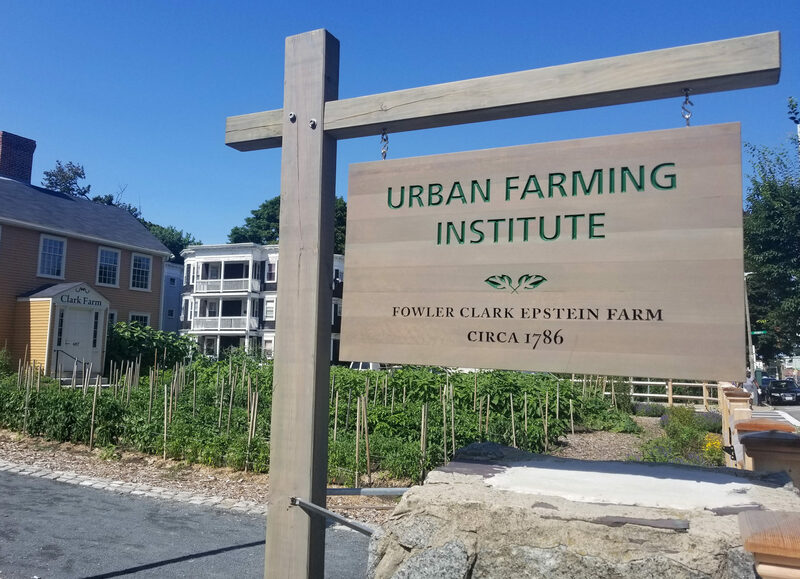 Firmly rooted in ecological design, the Fowler Clark Epstein Urban Farm responds to the social and environmental needs of today, while reviving the story and uses of a historic Boston farmstead. 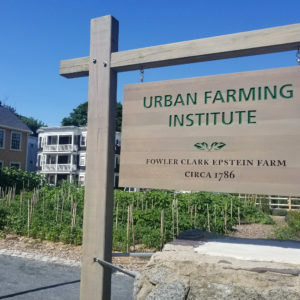 Built on a site that was slated for a housing development, this project came about through the work of multiple stakeholders, and is one of the first to implement the city’s zoning provisions to support urban farming. 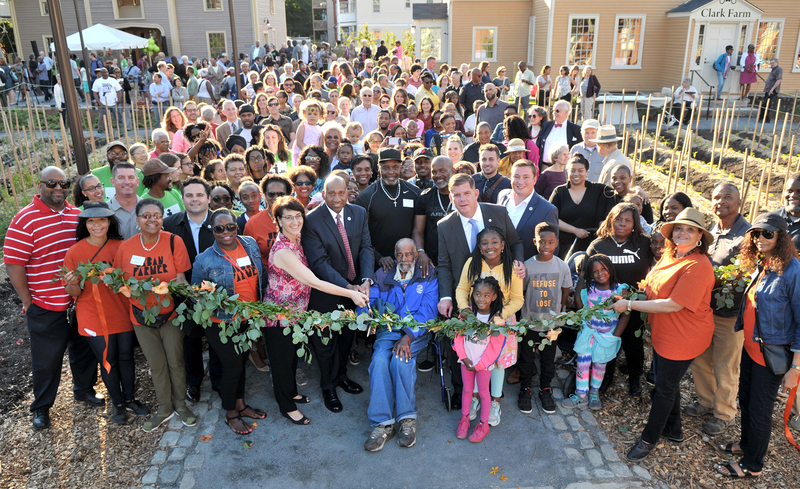 The goals were ambitious: transform a neglected corner lot in Mattapan – one of the most under-resourced neighborhoods in Boston – into a beautiful, ecologically resilient, historically sensitive, accessible, and agriculturally productive landscape. 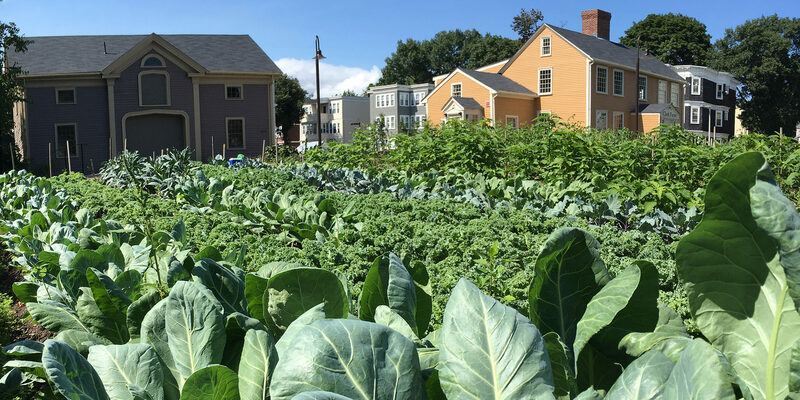 Work began by clarifying how the site could contribute to a commercial urban farming sector in Greater Boston. 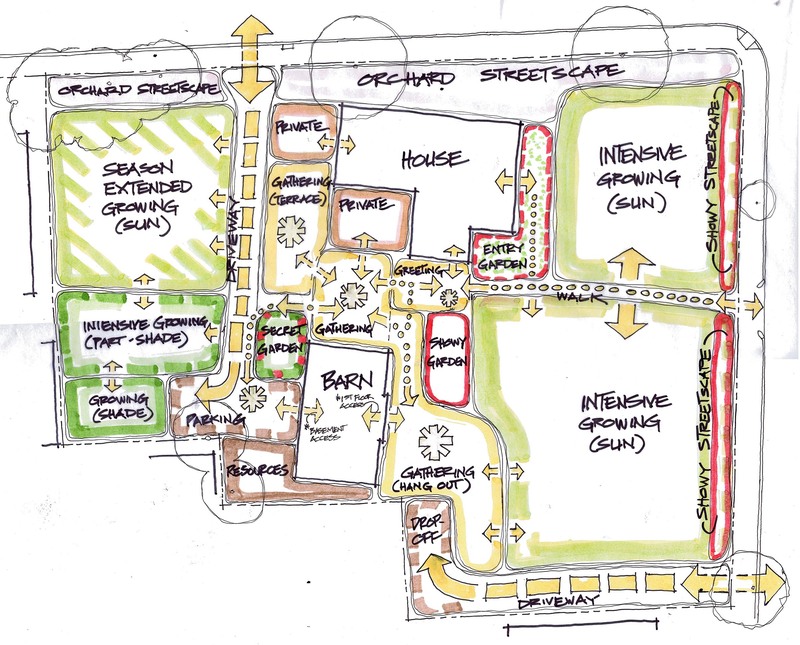 Site analysis and stakeholder input helped create a clear vision: the site would be a center for agricultural training and innovative urban farming practices, a dynamic community hub, and a source for healthy food in the city. 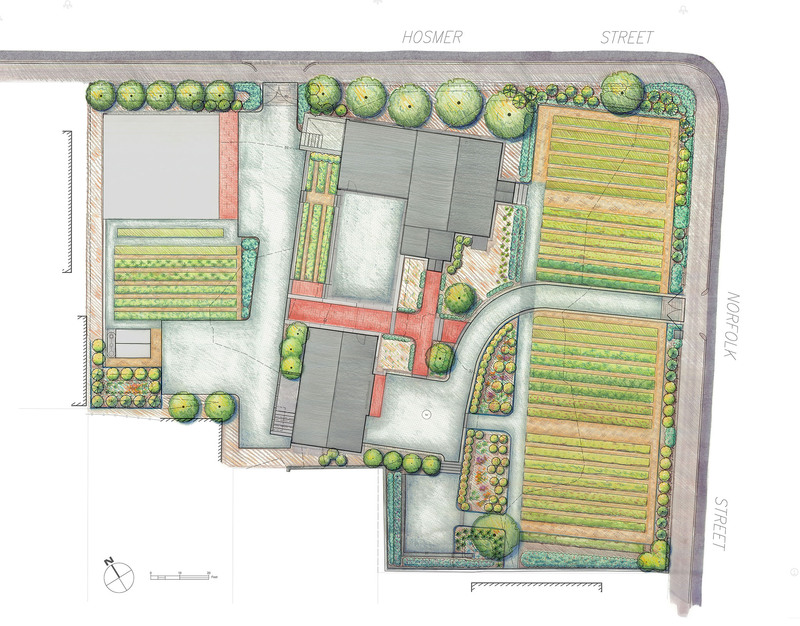 Our design required an integration of functions and systems to create a landscape that could drive innovations in urban farming while being an aesthetic, ecological, and economic asset. 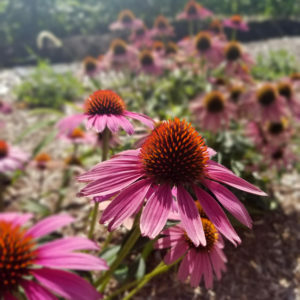 Rain gardens provide beneficial insect habitat, small fruit, and medicinal herbs. 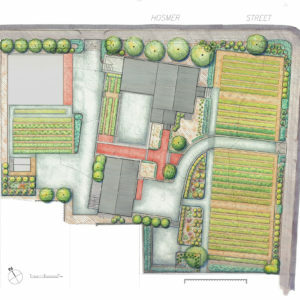 A sunken garden serves as gathering space and stormwater infiltration site. As a public site, universal access was critical. 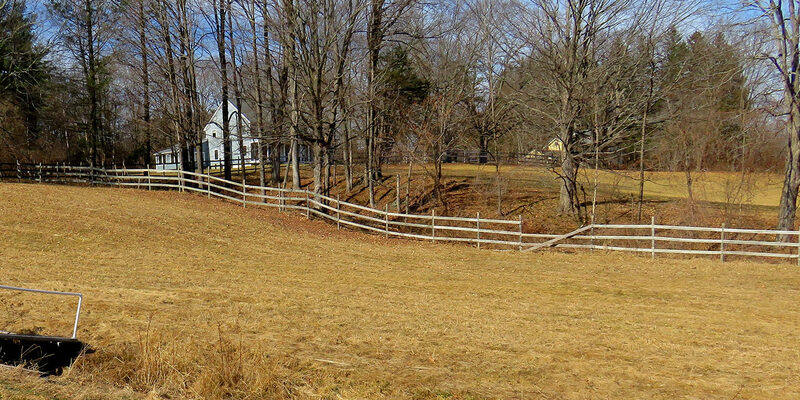 The design balances stormwater pretreatment needs with access concerns, despite challenging grades, and the need to preserve historic elements. 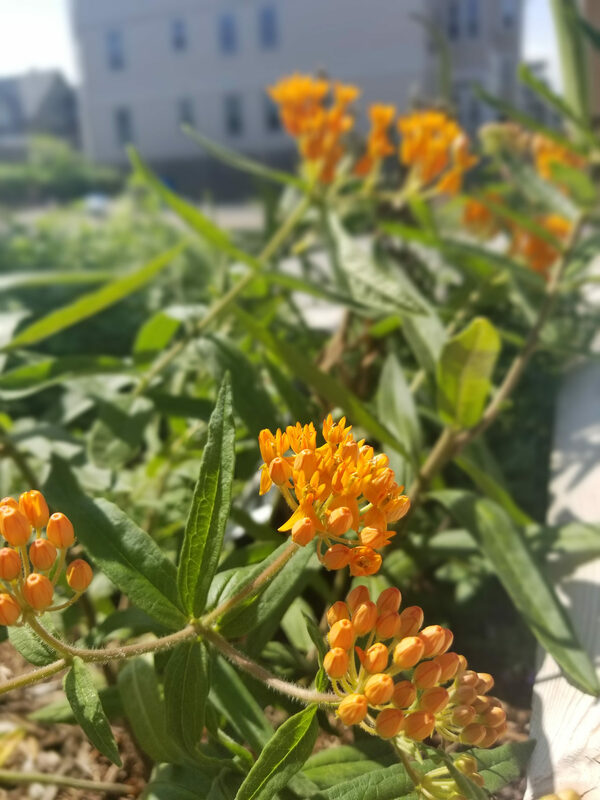 FCE opened in June 2018 and today a dedicated staff works on site to grow food, train farmers, and build community. 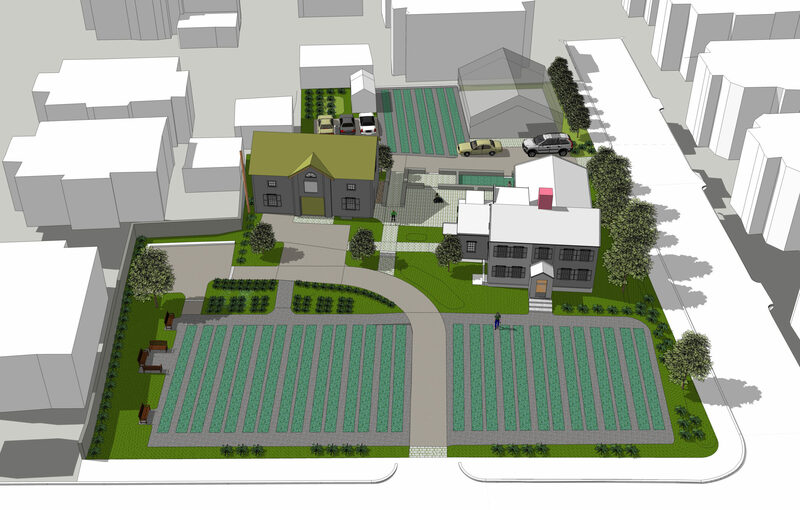 New urban farming and food enterprises are launched. 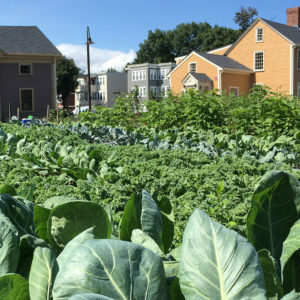 People are nourished by the produce grown there. 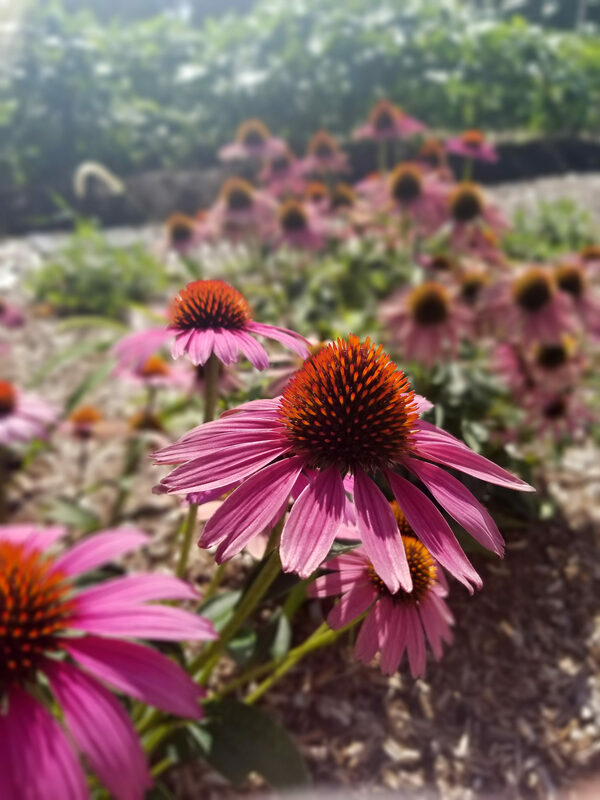 Edible rain gardens and stormwater paths infiltrate and treat over 670,000 gallons of stormwater per year. 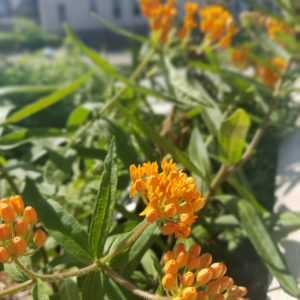 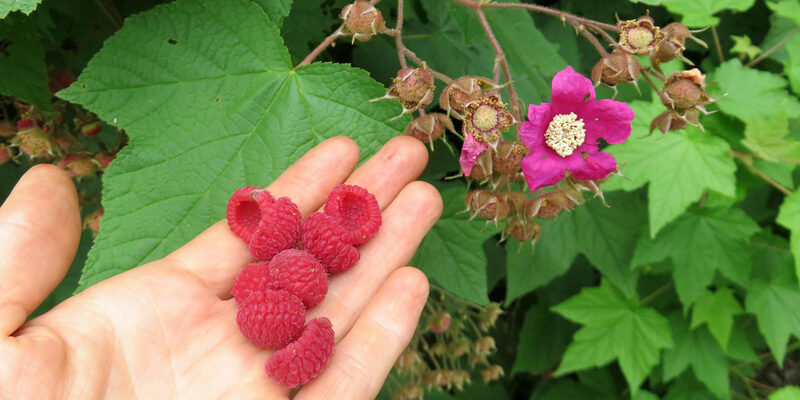 Over 78 species of perennials – including dozens that supply important forage for native pollinating insects – bring life, color, and function to the farm. 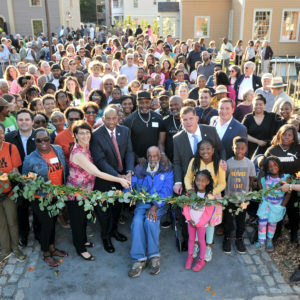 Thousands of neighbors enjoy a view of the bountiful gardens within a short walk of their homes. 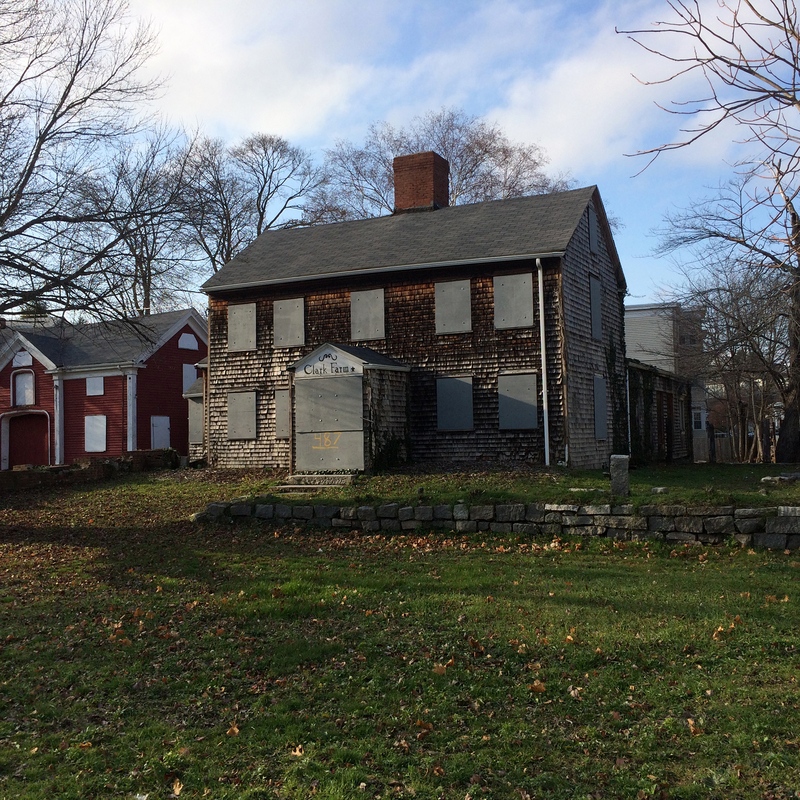 A place that once signaled neglect and abandonment now teems with life and purpose. 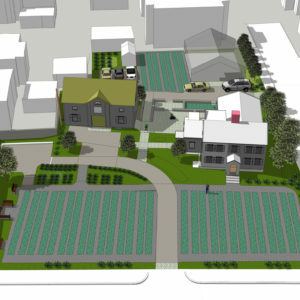 When the work is completed, the 30,000-square-foot property, which includes a house, a barn, and a jumbled landscape of stone walkways, brick arches, and other architectural embellishments, will again be a farm, as well as headquarters for the Urban Farming Institute of Boston, one of the project partners.